THE impact of Cyclone Veronica on Australian iron ore production and previously known stoppages at Vale, the Brazilian producer, helped send the share price of Kumba Iron Ore to a five-year high as it benefited from supply/demand tightness for the steel ingredient. Kumba, in which Anglo American has a 70% stake, was last quoted at R449 per share on the Johannesburg Stock Exchange. This compares to the R240/share 52-week low which was recorded on November 30. The company has a market capitalisation of R144.6bn. 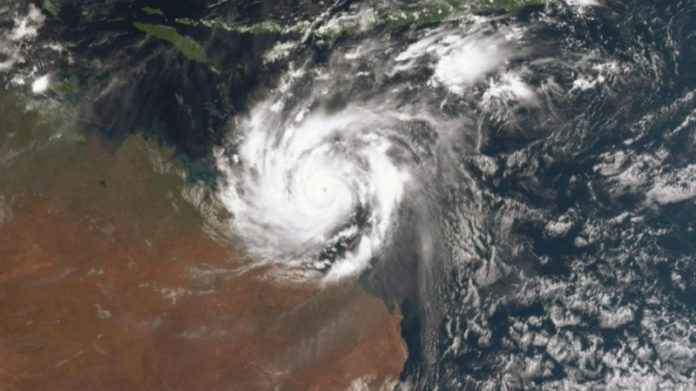 BHP announced overnight that it had reduced its 2019 iron ore guidance by six to eight million tonnes (on a 100% basis) owing to Cyclone Veronica. The interruption was likely to lend a further boost to iron ore prices, said Goldman Sachs. Rio Tinto earlier guided to the lower end of production of between 338 million tonnes (Mt) and 350Mt following the port damage caused by Veronica, and a fire earlier in the year. An environmental disaster at the Brucutu facilities of Vale earlier this year also led to stoppages whilst stronger than expected PMI [purchasing manufacturers index] data from China was stronger than expected for March. Kumba reported relatively flat headline share earnings for its 2018 financial year compared with the previous year, but it has sought a degree of insulation from the volatile iron ore market by focusing on extracting greater value from premiums offered for its high grade product. It also has a supply flexibility so it can respond to demand pulses. “In the medium term the higher price environment is likely to elicit a supply response,” said RBC Capital Markets in a report. “Although there is very little capacity that could come online from the majors, the potential for higher cost tonnes, in China specifically, to reenter the market is high,” it said. Said the bank: “India, Russia, West Africa and smaller Western producers are likely to drive supply forecasts up from here. A restart of Vale’s Brucutu in the near term could accelerate this trend”. Shares in Assore, another iron ore (and ferrochrome) producer have also been boosted by disruption to the iron ore price. R44,90? It closed at R450 per share yesterday…….